MUJI is a popular clothing, interior, knick-knack store all over Japan (and in some countries abroad). I use the MUJI app, called MUJI passport, to keep track of shopping points. You can also check-in to MUJI stores (once a day) and get 10 points (equivalent to 10 yen) per check-in as long as you are no farther than 600 meters (0.3 miles) away. For the year, as your shopping points and check-ins accumulate they give you shopping coupon when you reach a certain amount, the higher the amount of points, the higher the amount of the shopping coupon. Recently they changed the type of check-in stamps we receive. 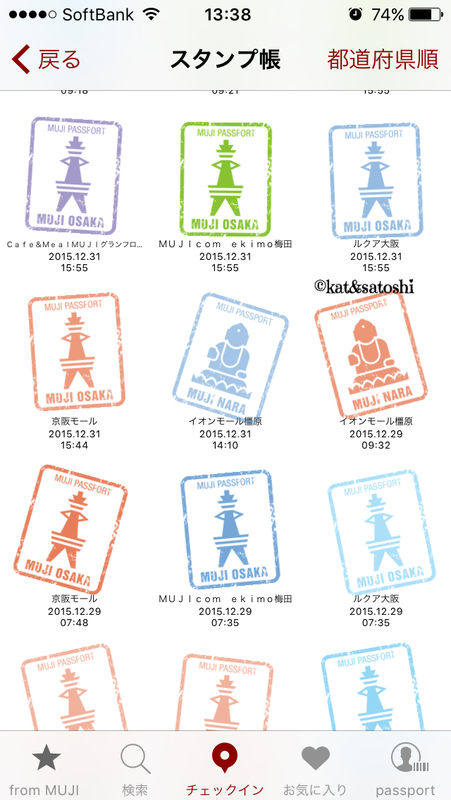 The stamps before were kind of boring, if I remember correctly, just a round circle that said "MUJI check-in". Now, the stamps are fun...representing the areas that the shops are located. For example, Osaka's stamp is of Tsutenkaku (the tower that is a landmark of Osaka and kinda looks like the Eiffel Tower). Since MUJI also has shops abroad, I hope to be able to collect some check-in stamps, (if and) when we travel international. 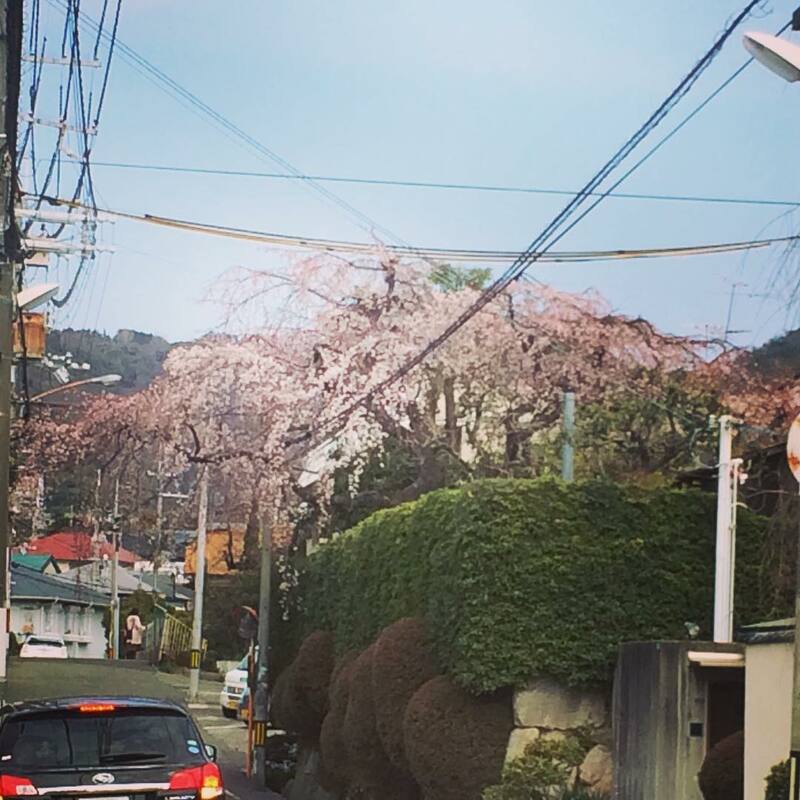 Yesterday on the way to the market, I got a photo of this weeping cherry. 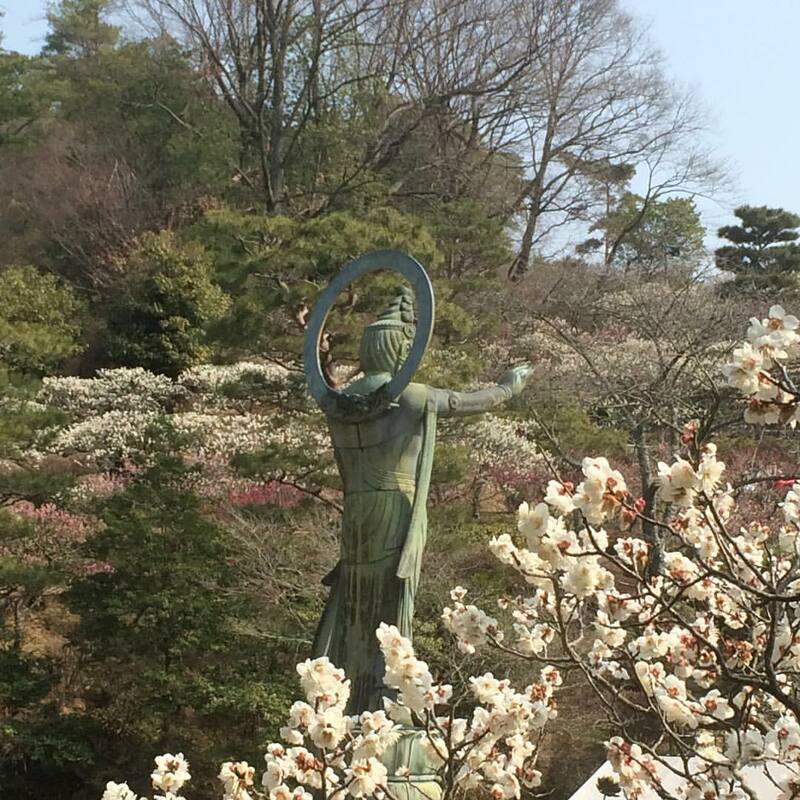 The blossoms should be in full bloom by the end of the week (so says the weather dude). Since most of my favorite spots around our neighborhood haven't started blooming yet, I will try to check them out again next week. Did you ever wonder how the weather people determine when the trees will start blooming? 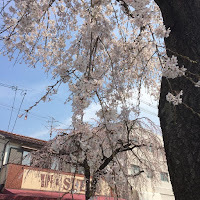 Apparently each area has a designated tree, when that tree has 5 or 6 flowers that have bloomed, the weather people then announce that the cherry blossom season has started for that area. 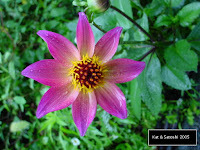 Then about a week later, temperatures and weather permitting, the flowers should be in full bloom. The date that is on the carton or directly on the egg is the date that you need to eat the egg if you are going to be eating them raw. 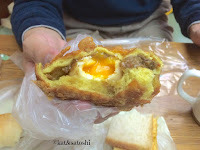 Many people eat raw eggs here as T.K.G. (tamago kake gohan) --putting a raw egg onto hot rice. 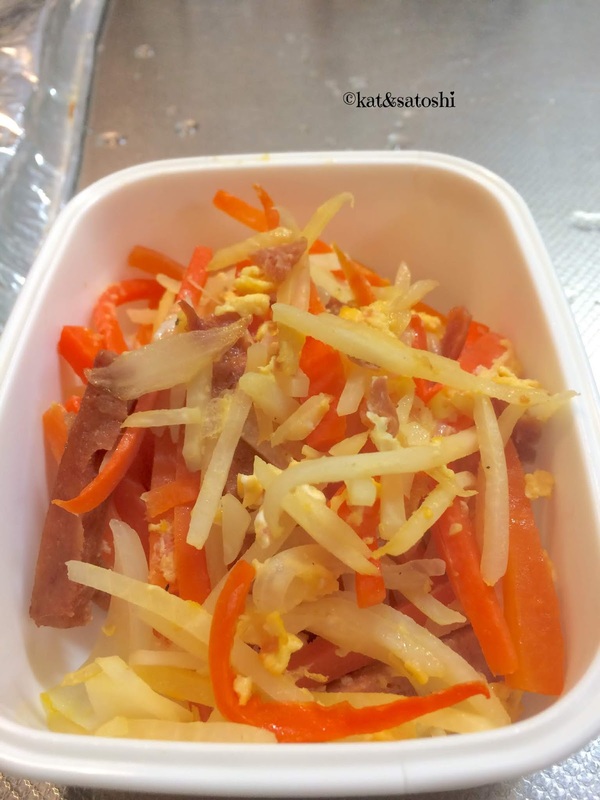 And also when eating sukiyaki, they dip their meat/veggies into a raw scrambled egg. 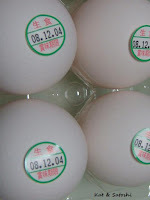 If you will be cooking the eggs they apparently can be used after the expiry date. 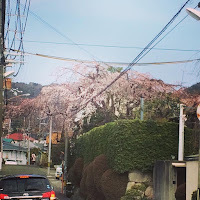 It's that time of year to take my walks around our area to check out the sakura (cherry blossoms). Yesterday, it was quite overcast as I was walking to the market. Most trees have their blossoms up high, but these just happened to be at "my eye level". 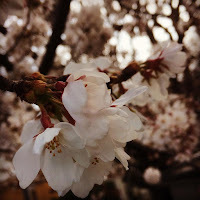 As I walked back from the market, I went to check out a weeping cherry...I think it was about 50% in bloom. Today, I stopped at Suigetsu Park, but there weren't many trees in bloom yet. 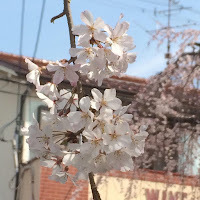 So I went "next door" to Sonpachiyakujin, and they had a weeping cherry almost in full bloom. After lunch, I got to face time with family (love technology!) it's Easter for them and my brother is also celebrating his birthday. 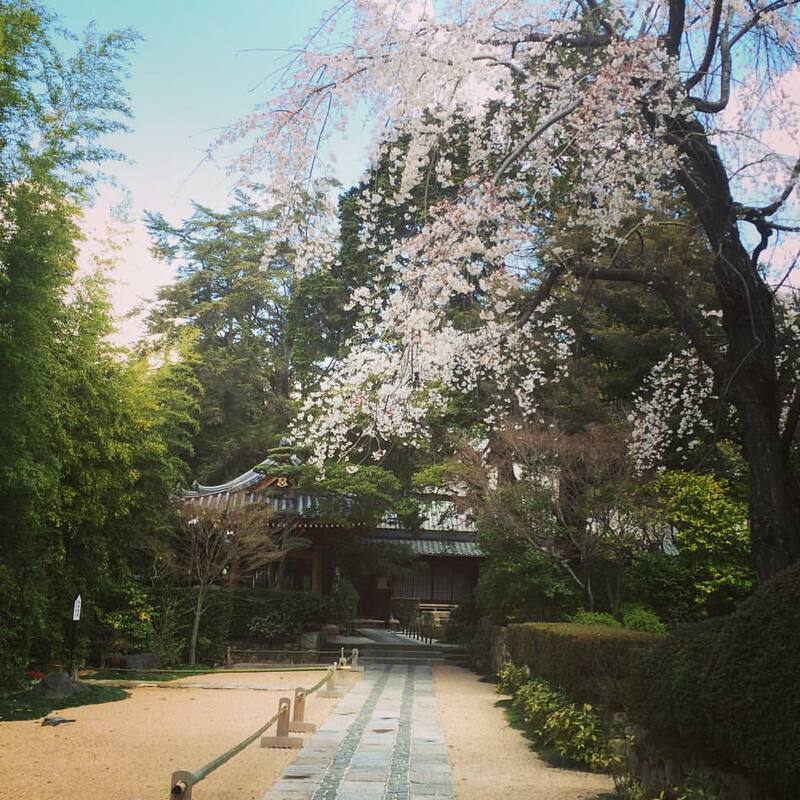 The temps are supposed to pick up this week and the cherry blossoms should be in full bloom by the weekend. FIL's meinichi (date of death) is coming up and Satoshi happened to have the day off in exchange for having had to work this past Sunday...so we went to visit the family grave. 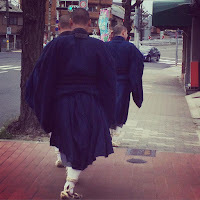 The thing about us visiting Kyoto is that we like to go early...real early because there are just too many tourists running around. Roads get congested with buses and taxis...not too fun. 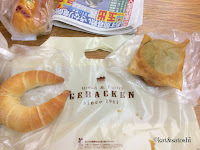 We left our house really early and headed to a little bakery that I spotted on our last visit to the area...Gebacken. 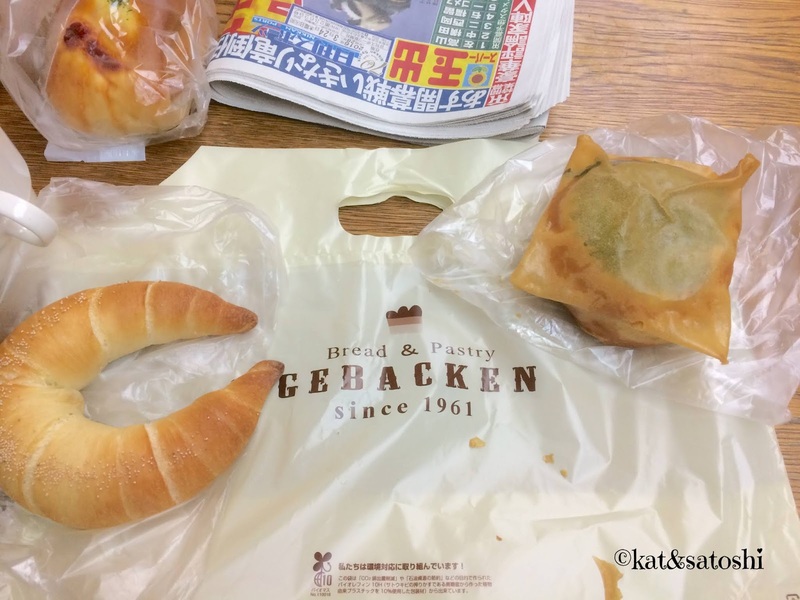 We shared this shio-pan (salt bread, left in the photo) there is butter in the center and it is topped with some salt and poppy seeds, the outside gets really crisp...delicious. The niku miso pan was so oily...around the bread was a spring roll wrapper (which made it super oily) after it was fried...meh! the inside reminded me of a baked manapua (char siu bao). The curry pan with soft boiled egg was super good (but oily). On the 2nd floor, their cafe area was a smokers paradise, unfortunately for us, we gasped when we opened the door to go inside. Dunno that we would go back to eat here, but definitely would for take-out. 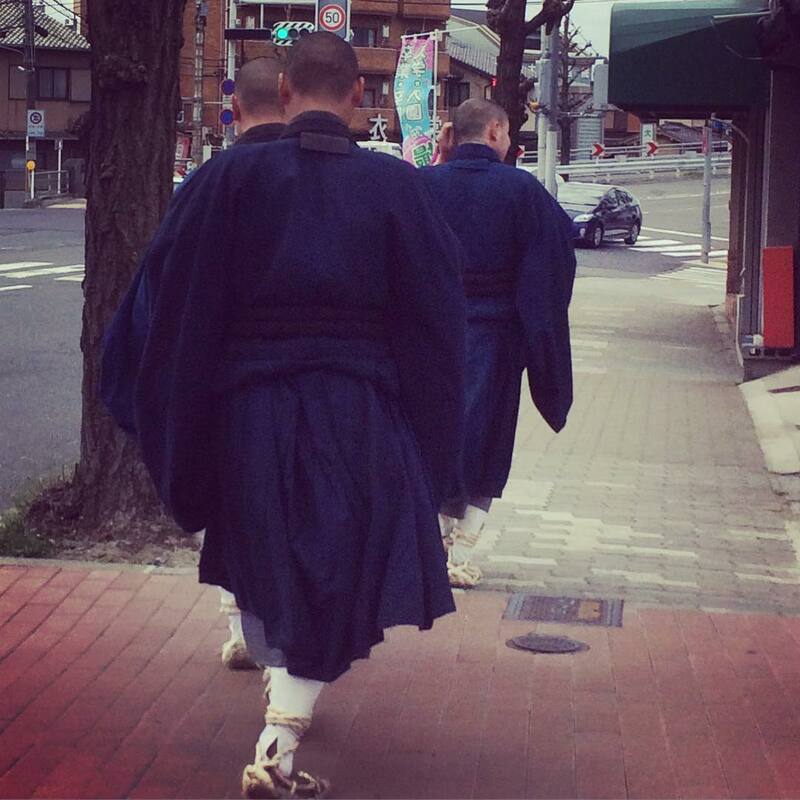 As we headed back to the train station we spotted these o-bo-san (buddhist priests) disembarking from the city bus. 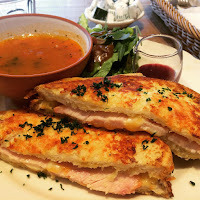 We also went to spend some time with MIL and had lunch together. The cold snap is definitely back and I think cherry blossom season has started, hope to get out and about to enjoy it in the next week. 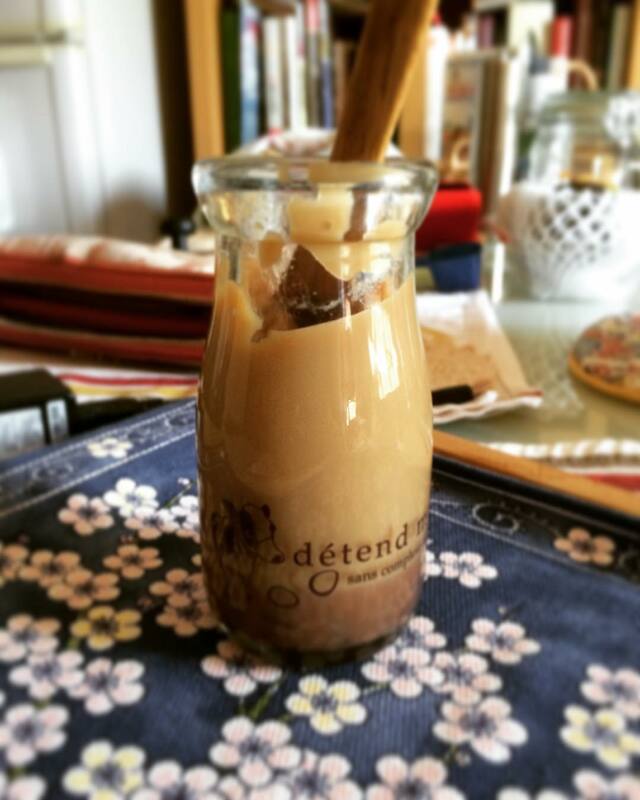 I made a small batch of coffee azuki gelatin yesterday, it's been a couple of years since the last time I made this. 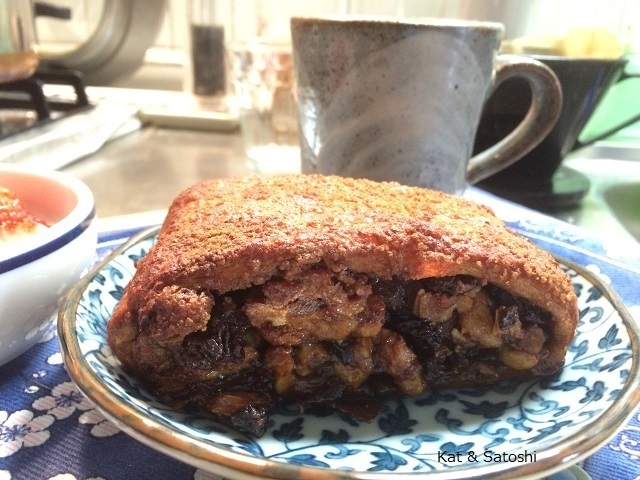 I had a small amount of anko (sweet bean paste) that needed using up. Some cherry trees have started blooming. We've been having nice temps but are heading for a cold snap tomorrow. 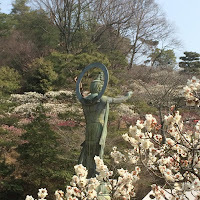 Yesterday, was the holiday observance of the Vernal Equinox (first day of Spring). Satoshi and I ran some errands and then had lunch at a rather large shopping mall. 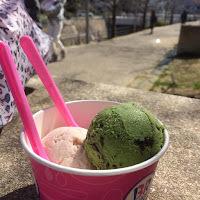 Dessert was ice cream from Baskin Robbins or 31 (sa-tee-one) as they are called here in Japan. Satoshi and I shared these two scoops...sakura and oreo matcha. The wind was icy yesterday but it was nice to be out and about. A new curry place opened up in our shopping arcade, Lion Curry. From the outside it looks like a small shop, but inside there are several booth type seating as well as seats at their counter. Their menu is rather extensive with grilled items and fried items. I chose their grilled harami (skirt steak)...890 yen (tax included). The steak is marinated in a shoyu, garlic sauce, which is a little sweet. Then grilled after you order. Talk about melt in your mouth! 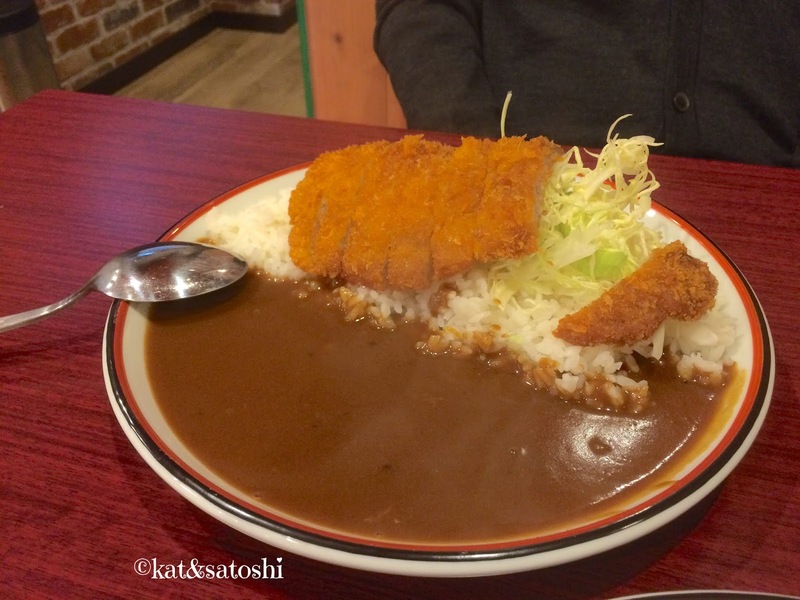 I got half portion rice and half portion roux so they minused off 100 yen. The curry had just enough spices, but didn't overpower the harami. 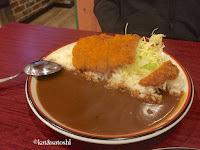 Satoshi went with their ro-su katsu (pork loin)...850 yen (tax included). This is also fried after ordering. He got the regular portion of rice and roux. There are other items on their menu that we want to try...we'll be back. Place A) into a bowl. In a pot, put the ingredients for B) and cook on high heat. After about 2 minutes or when the seeds start to pop, add C) and stir. Add D) and stir again. Add this mixture to the bowl. Add to bowl, mix and cool. After cooled, transfer to airtight bottle. This will keep in the refrigerator for 3 weeks. NOTES: I cheated here and there. I used pre-made fried onions and didn't fry the cashews. 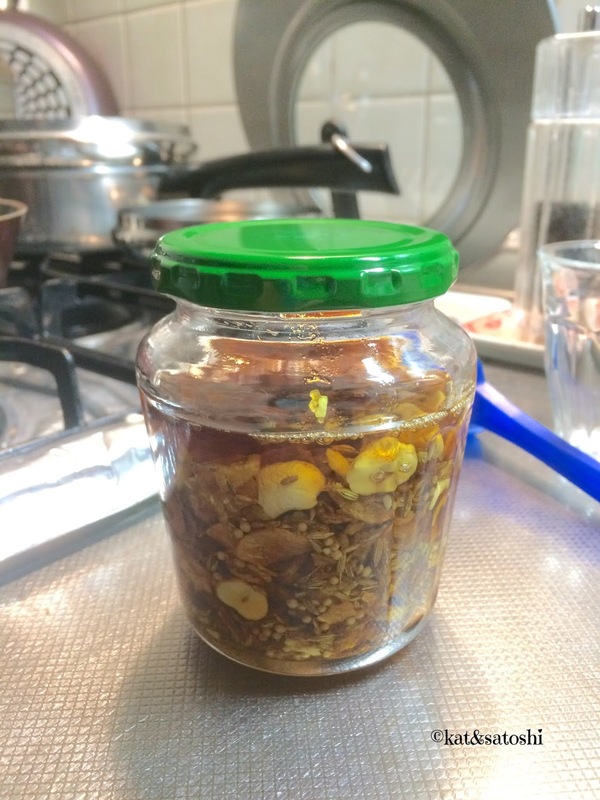 Also, the recipe says that if you cannot get hold of mustard oil, to use sesame oil, which I did. 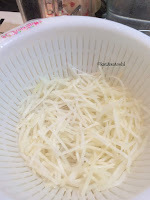 Instead of using fresh garlic, I used dried since I had some that needed using up. Everything is supposed to be quite minced but I kept everything quite chunky. The recipe says you can use this on meats, on salads or as a dip for fresh veggies. 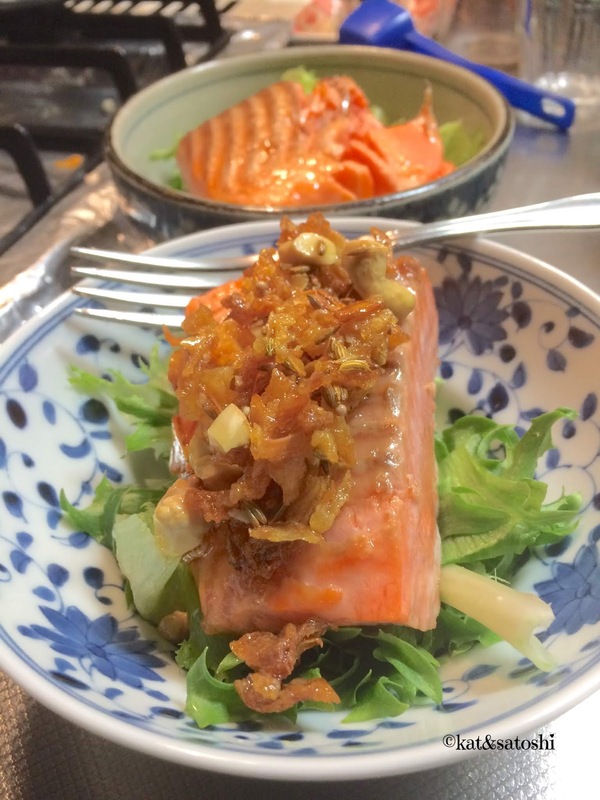 I put a couple teaspoons on top of some salmon. I liked the crunchiness from the onions and want to try it on chicken. I also want to try to mix it with some yogurt as a dip. I'm glad I tried this and am making this again. "why was it so expensive?" 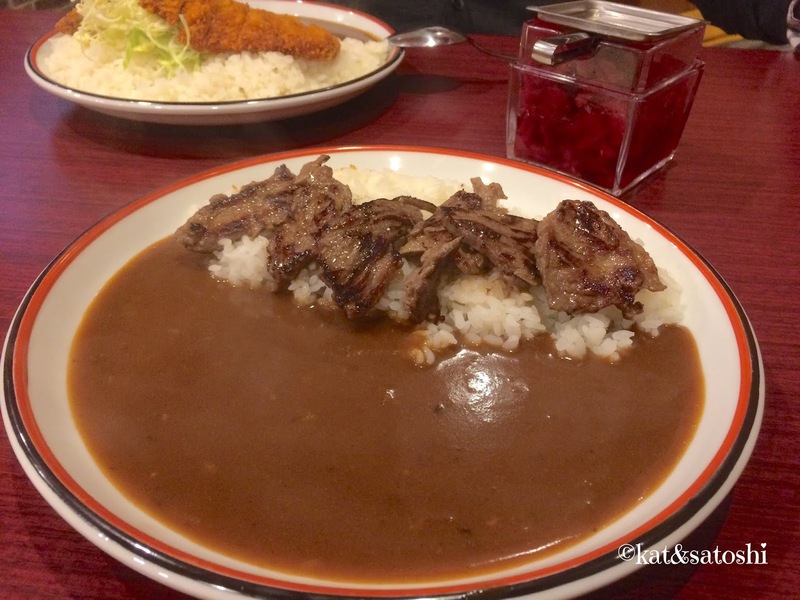 In Osaka, usually when you order something à la carte, the price is usually under 1000 yen. I looked online this morning and realized they had overcharged me! I told Satoshi about it and he said that even if we complained, it would be a waste of a round-trip bus fare to go and get them to return my money. I am usually good about recognizing when I'm over charged but I guess I wasn't paying attention...grr! Oh well, lesson learned...but I am still kicking myself for not noticing until this morning. My main reason for going to Onohara yesterday was to try Lever du Soleil which opened recently. 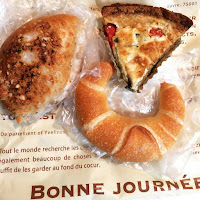 The bakers from Boulangerie Antibes have teamed up with this bakery now. This morning we tried their curry pan (similar to the curry pan at Antibes with walnuts in the bread), tomato spinach quiche and yuzu shio (citron salt) pan. Everything was delicious, especially the yuzu shio pan, crisp outside and a flaky soft inside with lots of yuzu salt flavor. If I can get back out this way, I hope to stop in at this bakery again. 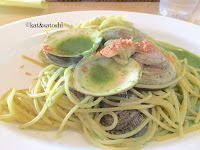 Today's lunch at Ichirin Coffee was meh...1350 yen (tax included) for this sad looking, overly salty pasta. They don't even give you some bread with your dish...Am not going back...ever. Yesterday's savory french toast stuffed with smoked chicken and 3 kinds of cheese (cheddar, emmental & parmesan) at Afternoon Tea. There was also some blueberry sauce (not sweet) to drizzle. This was so good! especially the burnt cheese bits. 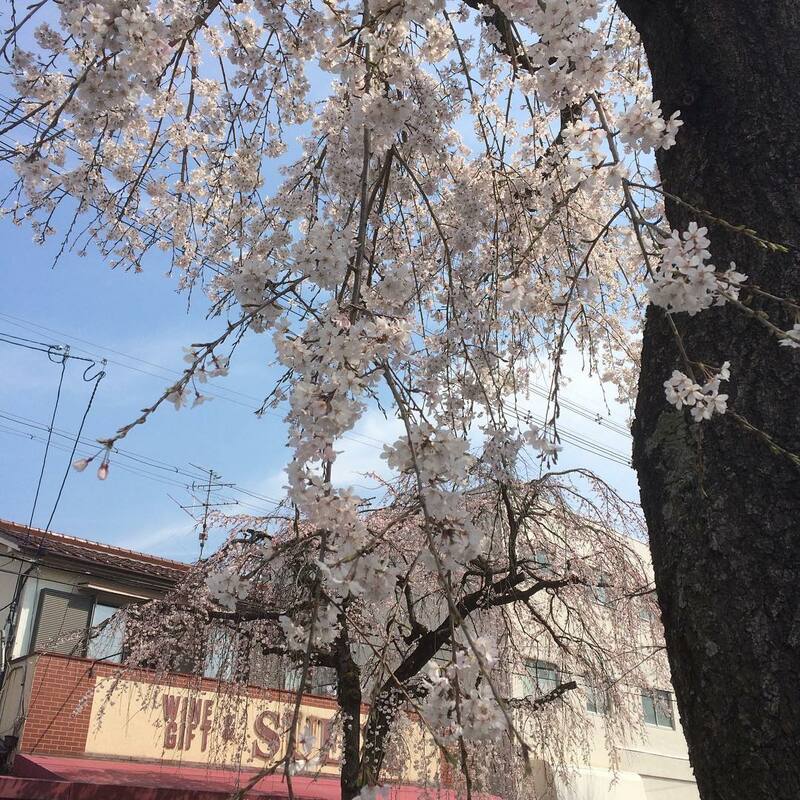 The weather is still flip flopping, though they are forecasting the cherry blossoms to start blooming in Osaka around March 25. Do you know someone that is? 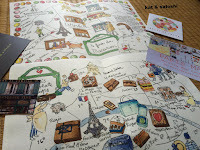 You might consider getting them (or yourself) a subscription from Paris Breakfast on Etsy. 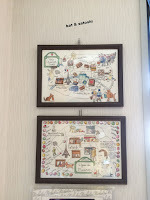 Carol Gillott, the watercolor artist behind all the beautiful artwork has several categories on her Etsy such as "Paris Mail", which you can subscribe to receive a Parisien-themed print every month. "Paris Maps" is another category. With your subscription to the maps, you will also receive "A tip sheet of shop/bistro business cards (carte de magazine). Plus BEST BUYS suggestions, where and what to eat. Paris cards will be included if available." All items are color photocopies of her original works. 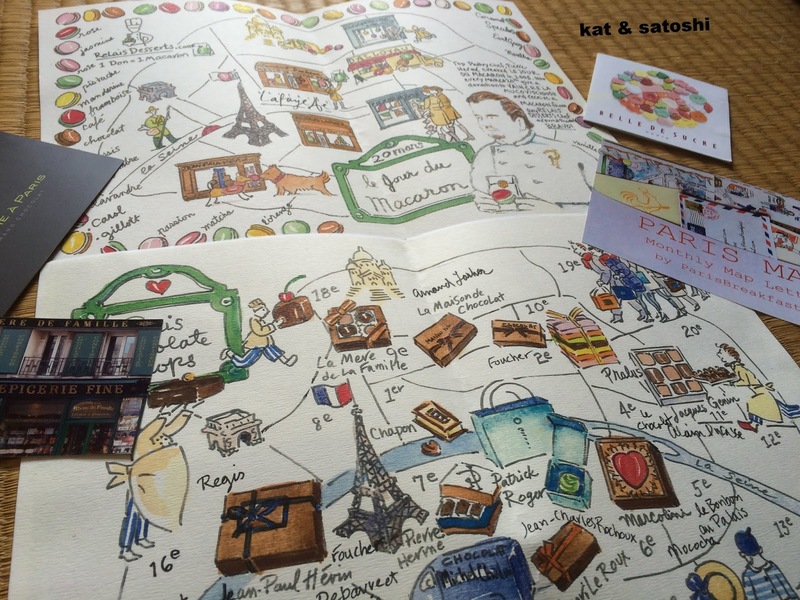 In the past, I've received her "Paris Mail" and recently she sent me her "Paris Maps". I've hung most of them on my wall to daydream of Paris. 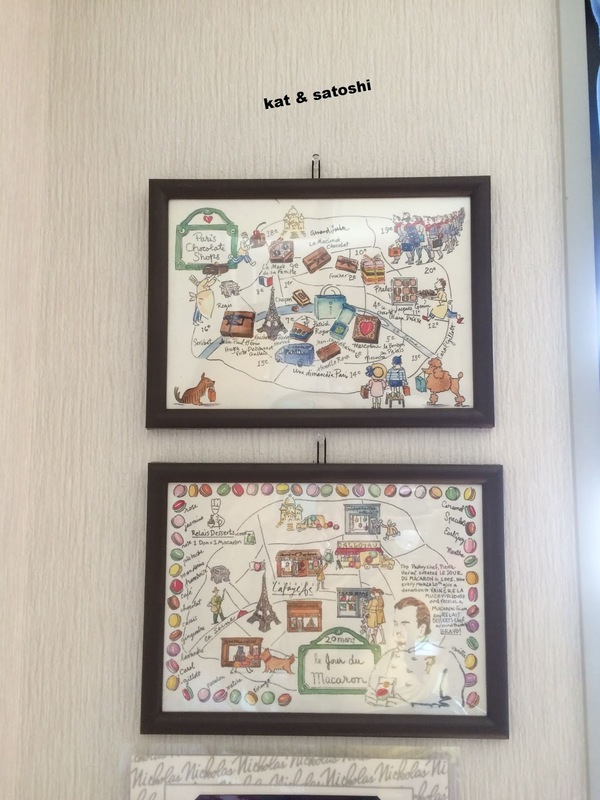 Disclaimer: I received the maps from Carol in return for an honest product review. I was not compensated for this and the thoughts and opinions written here are my own. 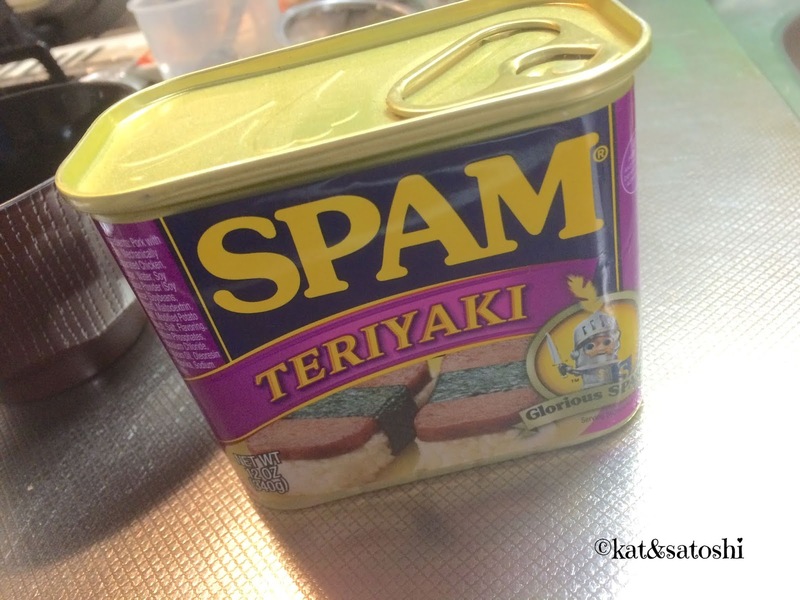 Have you tried Teriyaki Spam? It was our first time. I was a bit leery about flavored spam because it is Hormel's version of "teriyaki", which means it could be really good or really bad. The texture of the spam was spongy, kinda mushy. There was a weird smell probably from the "teriyaki" sauce. Yesterday, I found green papaya at the market and bought some to make champuru. Even though the teriyaki spam was gross, with the green papaya in champuru, it was edible. We had some teriyaki spam for breakfast this morning. 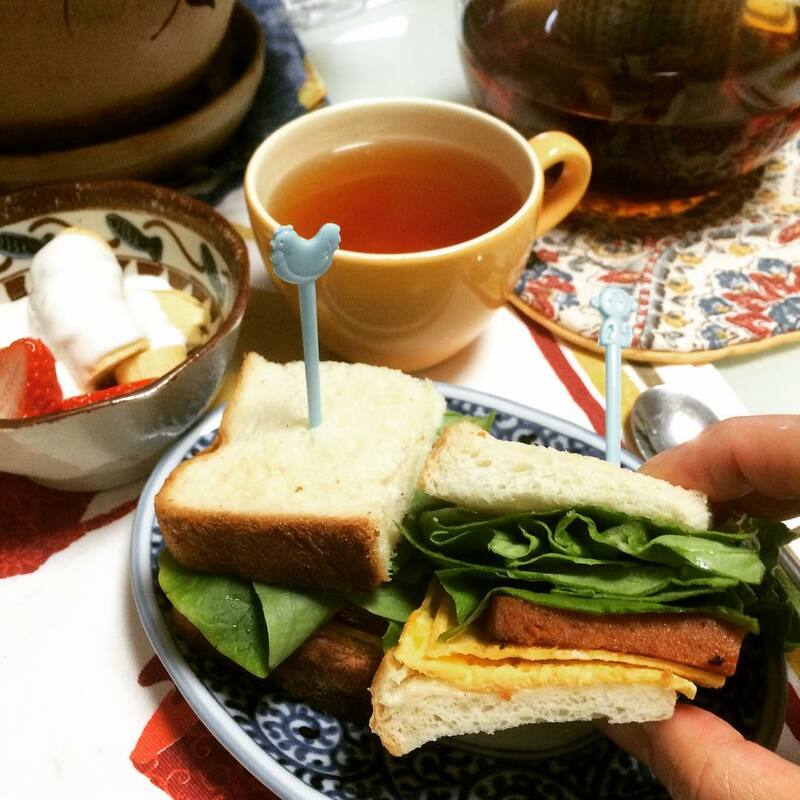 I made teriyaki spam sandwiches with egg, lettuce and a little mayo. If you tried this version, how did you use it? 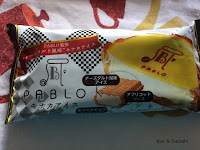 Disliking the Pablo monaka (wafer) ice cream bar...the ice cream was a cream cheese flavor surrounded by a sickly sweet apricot sauce enveloped by a crisp wafer shell. Pablo is a popular cheese tarte (cheesecake) maker, and they have had some delicious convenience store creations in the past, this just wasn't one of them. Kind of in the middle on Minoh Beer's Godfather 4. 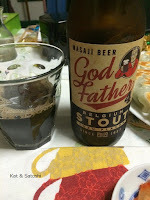 While I normally enjoy stouts, this one seemed a bit watery. On the other hand, the yuzu flavor was nice. Meiji Almond...this was a rich matcha (green tea). Usually whenever something is green tea flavored they usually mix the green tea with white chocolate making things a bit too sweet. This version was nice because it wasn't sweet. Kinoko no yama's matcha and chocolate "mushrooms". 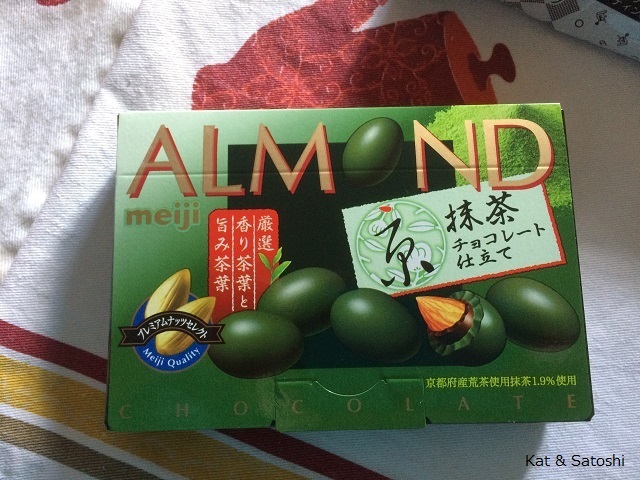 The balance of matcha and sweet chocolate are perfect. 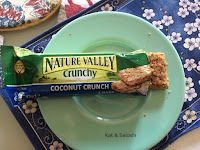 Nature Valley's Coconut Crunch granola bars. 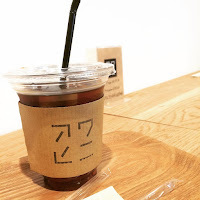 I first came across these at the cash register area of Yamaya. After buying one, I had wished I had bought more. There is lots of coconut in this. I'm glad I was able to find more at Yamaya recently. City Bakery's rugelach. Packed with dried fruits and nuts. 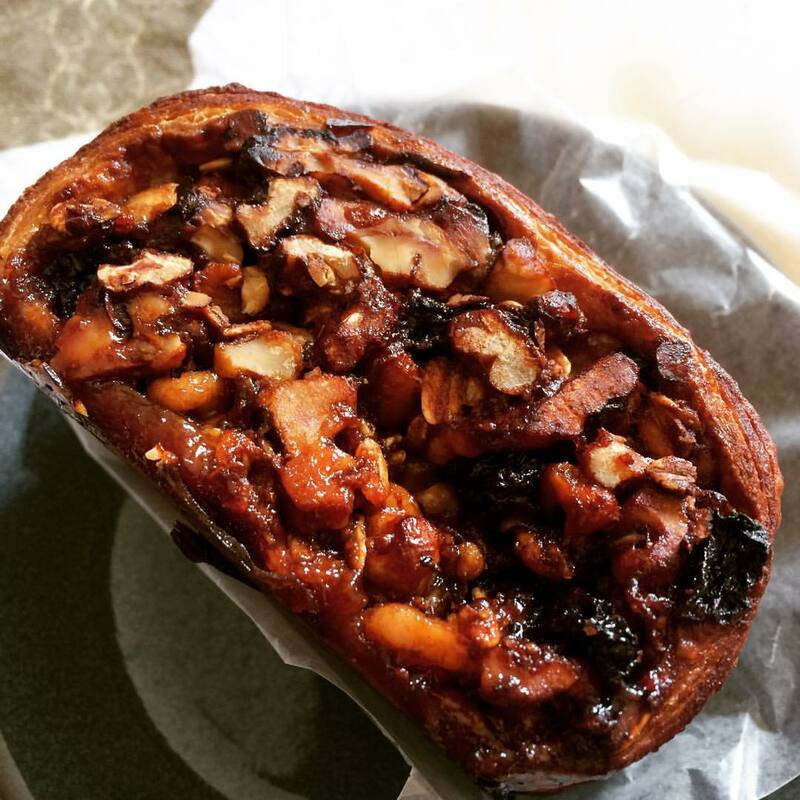 This is huge but so good with the flaky croissant type outer shell. Here is a better photo from the first time I tried it. 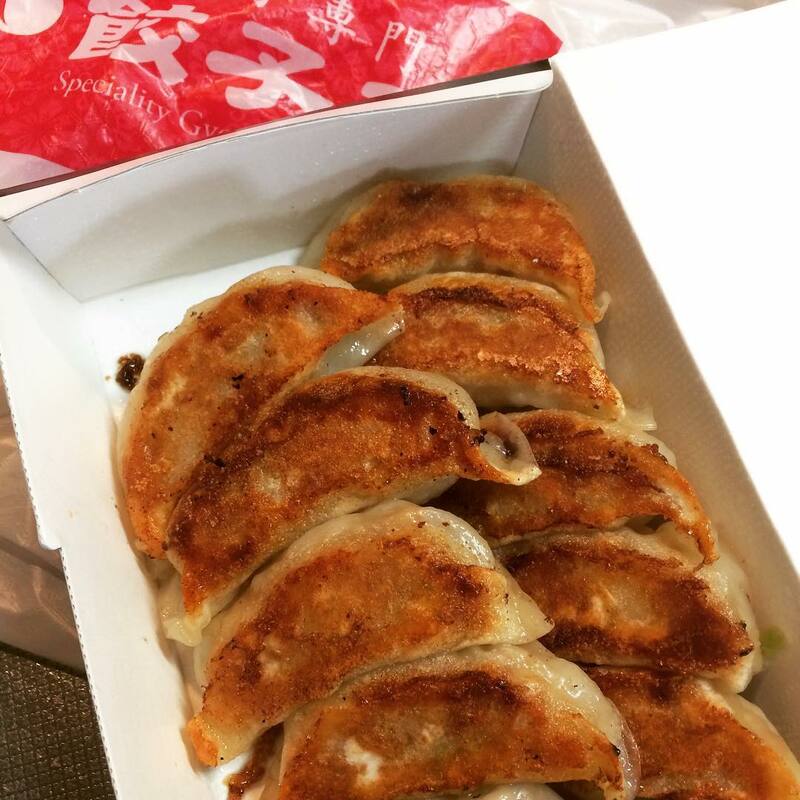 A gyoza shop opened up near our station on Monday. Don't think anyone was too excited about it because there wasn't a line to try the place. Yesterday, I bought 2 servings for us to try...560 yen (tax included). I liked the crisp bottoms and the flavor of the gyoza was nice and garlicky. Didn't appreciate the "tude" of the guy working there though. Though I will give points to the girl working at the take-out window for friendliness. We may be back...will see what Satoshi has to say about these gyoza (he's super picky). This weekend was so warm. I think the weather dude said we were having May temps?! 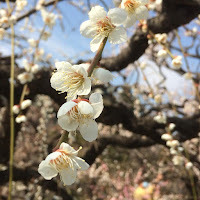 I went to check out the ume (apricot) blossoms at Nakayamadera on Saturday. 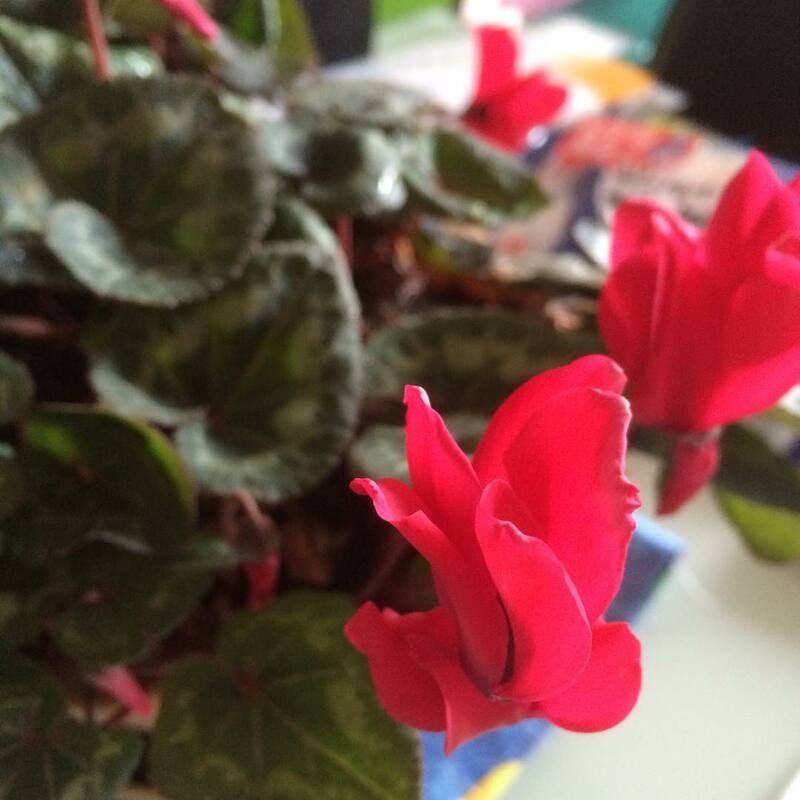 The cyclamen on our lanai has started to bloom. Which indicates that Spring is indeed on its way. Unfortunately, we're supposed to hit a cold snap tomorrow. Friday, started out with me picking up some bagels from Happy Camper. After picking up the bagels, I walked to Awahini Coffee. Boy! did it hit the spot. I like that they also have free wifi for customers. Since it was nearly 11 and I was nearby, I decided to check out Grill Stereo for lunch. It had been some time since my first visit and I was lucky to be the first in line. I decided to try their hayashi rice (hashed beef)...800 yen (tax included). This came with a large salad. 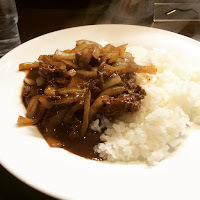 I loved how the guy flambéed the beef before topping it with the demi-glace sauce. The flambé gave the meat a nice flavor. 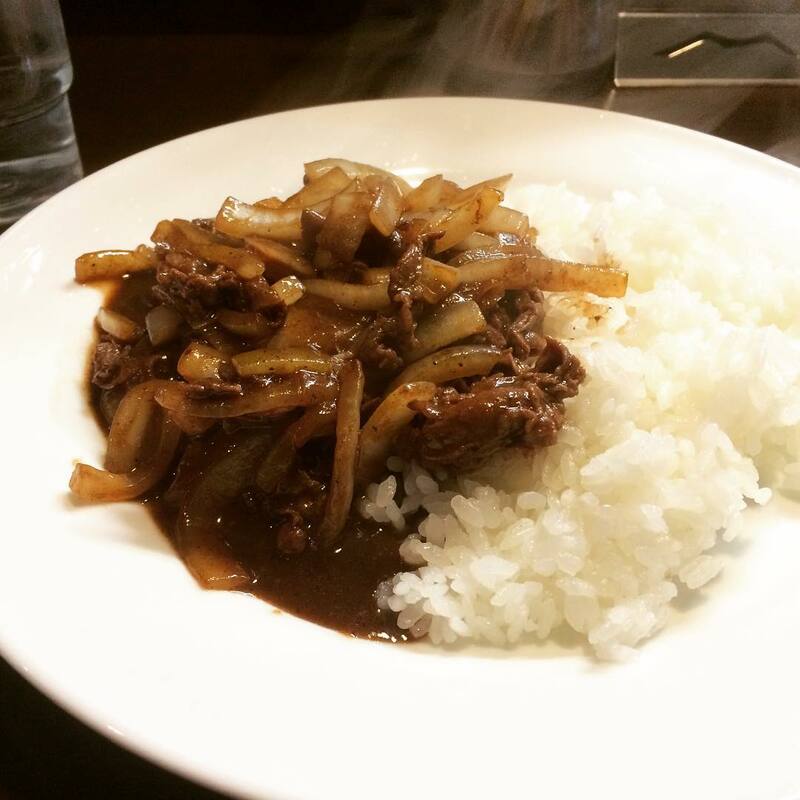 I also loved that there was lots of meat and onions and not too much gristle as sometimes hashed beef can have. Since I was really stuffed after eating, I decided to walk around a bit and went to check out the ume (apricot) blossoms at Osaka castle. There were tons of people and the blossoms did not disappoint. 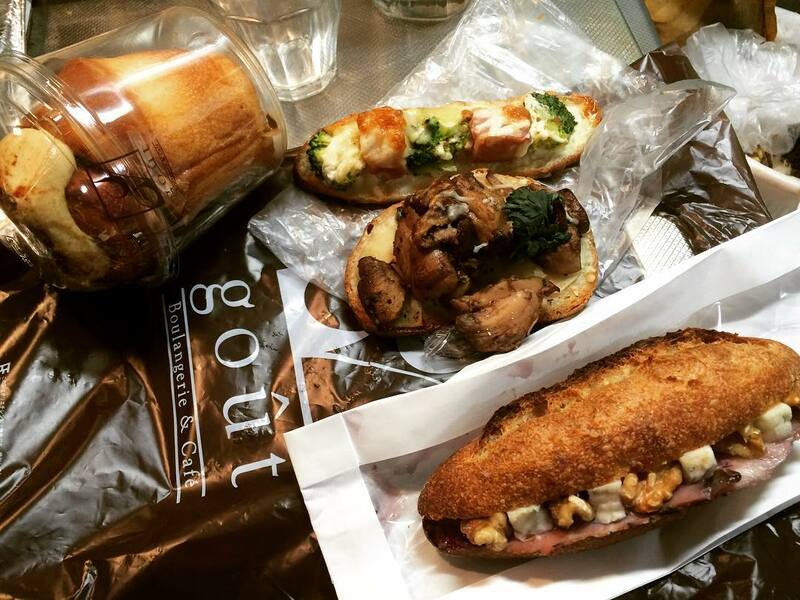 Since Satoshi didn't need dinner that night, I stopped into Boulangerie Goût to pick up something for dinner. I also picked up a cinnamon roll which I had for breakfast the next day. My walking route was krazy long (I clocked about 23,000 footsteps) but it was nice to be out and about. 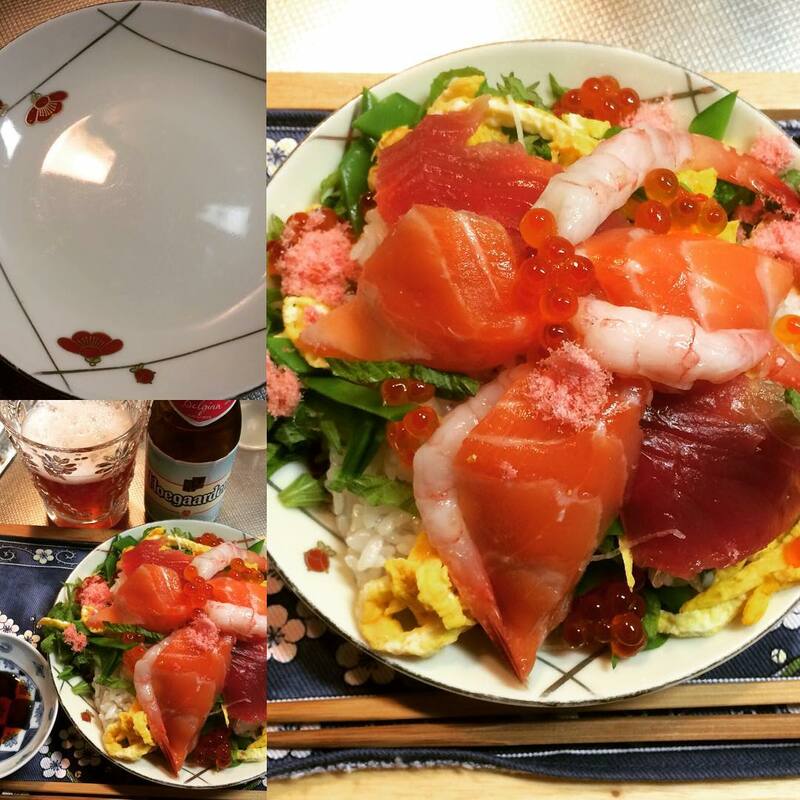 Last night for dinner I made a kaisen chirashizushi. This is a type of sushi that is topped with seafood. In recent years I've seen this version especially for hinamatsuri (Girl's Day). After cooking some rice, I mixed in some denpu (a type of "meat floss" made from fish that is sweetened), if I am not mistaken, Japan uses tara (cod). I also mixed in some sesame seeds and snow peas. On the bottom of my plate I sprinkled some shiso (perilla) that I cut up thinly. I added the rice mixture. Topped it with more shiso and snow peas. I sprinkled on a little thinly slice omelette. And then I put on some sashimi (katsuo (bonito), salmon & amaebi (sweet shrimp). Drizzled some denpu here and there. And also drizzled some ikura that was soaked in shoyu. I drizzled a little shoyu over everything before eating. Super easy dinner, well, once I got everything together. I had this with Hoegaarden's rosée. Oh and can I talk a little about this plate that I served it on? It has ume (apricot) flowers on it, but it isn't microwave friendly (there is a metal rim as well as some metal on the plate), so I don't use to very often. Anyway, I hope you had a nice Girl's Day, if you celebrated. 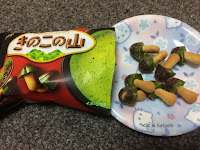 The other day, I went to 7-eleven to get something for snack. I ordered a caramel doughnut at the register paid and then went home. 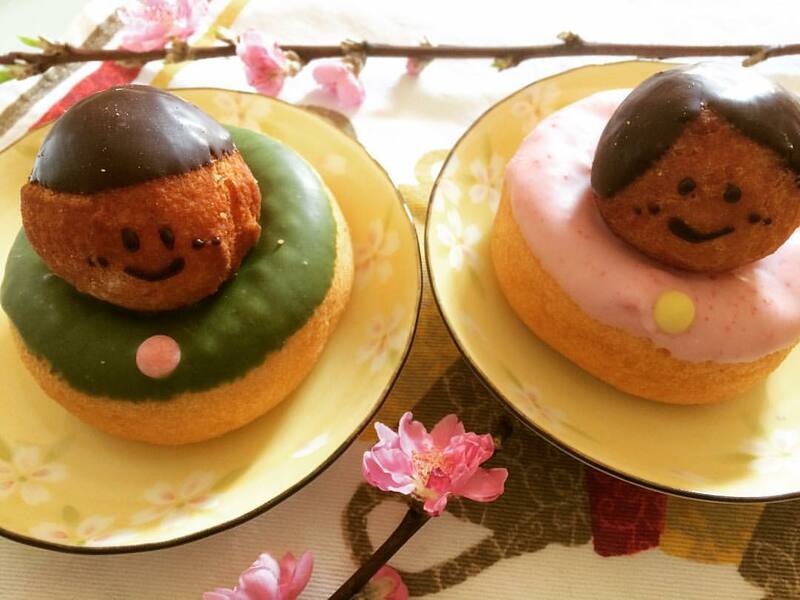 When I opened the package there was a kinako doughnut in there instead. After eating the doughnut (which was good), I called 7-eleven because I noticed that the price on my receipt was no where near what a kinako doughnut costs (the kinako costs less). The lady I spoke to said that they would need to check up on it. She then asked me for my address and telephone number. So a couple minutes later, the manager called to apologize. She offered to DELIVER a caramel doughnut to me (probable reason for needing my address), as well as to refund my money. 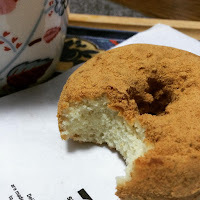 I told her that it was not necessary to bring the doughnut over (especially since I already ate one) and that I would go to pick up my refund the next day. So the next morning, I went to 7-eleven and told them who I was. They apologized and refunded my money. I offered to pay for the kinako doughnut because even though it was their mistake for giving me the wrong item, I still ate the kinako one. But they wouldn't hear of it and refused my money. A couple of weeks ago, my Instagram friend, Andi, asked if I would be interested in participating in her Traveler Tuesday series. I said I would and she emailed me her questions. After answering them the best that I could, I realized that I have not traveled internationally as much as many others in her series. Thanks Andi for the opportunity to participate, it was fun. 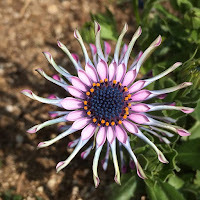 This past Sunday, while we were hanging out at the Itami airport, I noticed this unusual flower. It's called "Lilac Spoon" and is part of the daisy family. It's the start of March today...whoo! Can I back up a bit and tell you about February 29 though?! In the morning, it started to rain, then there was thunder...a little hail and a major downpour (all within a couple of minutes). 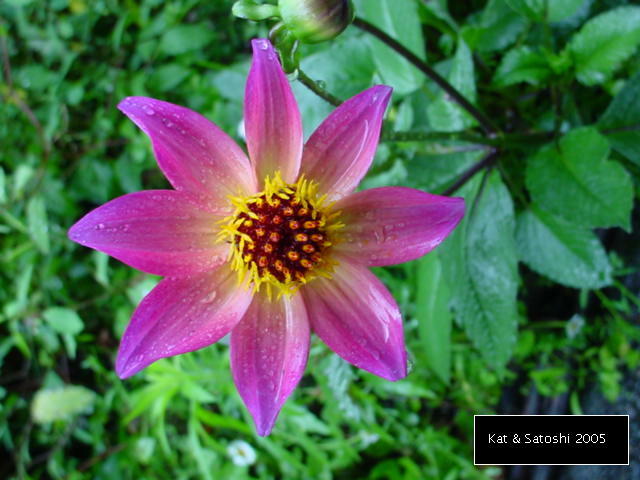 Luckily, by the time Satoshi had to leave for work, it was just drizzling.